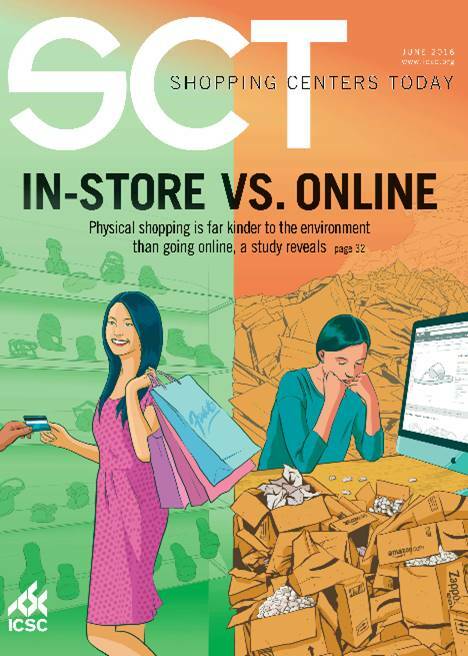 This month’s Shopping Centers Today reported on new research by Deloitte and Simon that offered a comparison between e-shopping and in-person purchases at brick and mortar stores. The takeaway? As the cover probably makes clear, the results don’t favor e-tailing. 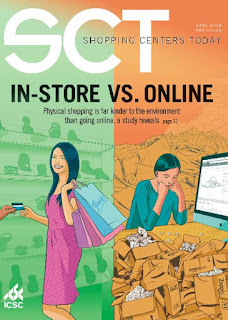 When fuel, electricity and packaging for bricks-and-mortar and online sales are compared side by side, purchasing the same set of goods at a mall would create 37,710 metric tons of emission versus 40,295 for an online purchase. We offer the additional insight that the differential is likely more favorable for mixed-use downtown environments. Unlike a mall environment where the majority of shoppers arrive by car, office workers who grab a quick lunch or residents who spend in the immediate vicinity of their apartments do not generate additional automobile trips. While this seems like it would be good news and offer an opportunity for marketing downtown as a “green” solution, some argue that in the final analysis a customer’s desire for the convenience of delivery will trump a desire to decrease their environmental footprint. One marketing expert who specializes on sustainability who was quoted in the article said “Sustainability was big in the 90’s and 2000s. After the recession hit, it dropped to like 19th or 20th on people’s priority list.” That may be the case for an individual customer, but cities that have policies and benchmarks to reduce their overall carbon footprint, like New York, will be encouraged by these findings. This analysis will only serve to further enhance the argument in favor of downtown mixed-use environments. While this is something that many of us know, it bears repeating with hard data in hand.